Edited by MercyPlease, 06 November 2016 - 07:34 AM. schön, Dich nach so langer Zeit wiederzusehen! Is startnet.exe required if <EnableNetwork>true</EnableNetwork> is specified in the unattend.xml..? Edited by spinjector, 28 November 2016 - 01:10 AM. Thanks for info and for sample. Will fix this in next version. I got this error when trying to connect Wifi. I use Hiren BootCD from the official site. I have updated v0.56 to v0.59. Edited by nguyentu, 03 January 2017 - 10:59 PM. Because I'm working on PENM (GUI stuff, Wifi things in/from tray, handling for better connection detection, etc.) I still wanted to know what modus you would prefer for the IP configuration GUI? 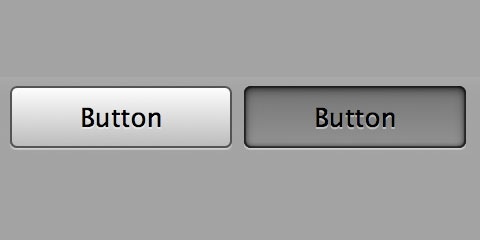 In the past there were some misunderstandings how to handle with the 'modern' interface (text on buttons shows the current mode, clicking on it changes to the other mode). Therefore I created an 'additional classic' interface, the modern is still available/default. So let me known your opinion. Obviously the "Classic" is more clear, because it shows the options available (as a two items radio buttons), the "modern" doesn't. say that on the left you have "Static IP settings:" and on the right "Obtain IP address"
As a side note (I have no idea how your program behaves) the way it normally behaves on Windows is "wrong", in the sense that after you have typed all your manual IP settings, if you click on "Optain IP address automatically" the fields are grayed out (right) but the fields are empied (WRONG), so when you switch again to static IP address you have to re-type all the info, it would be nice if the fields (grayed down) remain filled with the typed data so that you can toggle between dynamic and static (keeping the same data that was there before). 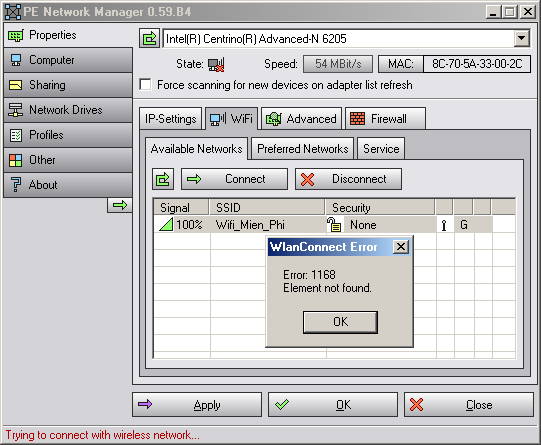 apparently vwifibus.sys is missing due to a mistake in Network.script. it would be nice to get this fixed in the official release. Won't this senseless feud ever stop? - Changed: Workaround for network adapter descriptions like "XYZ a|b|g|n" -> "XYZ a/b/g/n"
Additional info: you can now use different icon library files with different color schemes, please take a look into the included .ini file. I am new to this forum so forgive me if I this is not the correct thread for this issue. In PENM I am trying to map a network drive to my RT-AC66U_B1 router and I get an Error "The paremeter is incorrect." Any idea what I am doing wrong? What happens if you try to connect via command line, like "net use * \\myserver\networkdriver"? And what PE version are you using (Win7PE, Win8PE, Win10PE....)? I get a System error. It is as if my server (router) is not visible on the network in WinPE, however I can ping it from there. It may be a permission and/or authentication error, because when I set to my router to guest (anonymous) I can then map a network drive in WinPE. I fix it with replacement of "For $c = 1 To $arLine" by "For $c = 1 To $arLine2"
It simple trick. IMHO best way - compare arLine and arLine2 boundaries. Edited by a'Lexus, 27 December 2018 - 08:30 AM. @a'Lexus: thanks for info: I already saw this problem but made it different. WiFi list is empty if SSID is not in WiFi profiles list and contains only "Other network"
Localization string of "WiFiUnnamed" converted to UTF-8 is not readable. Edited by a'Lexus, 27 December 2018 - 08:20 PM. I removed too much of debugging and unused things - I thought - 1 important line also.